There are at least two European nations who remember that when it gets cold in the winter, there is one country they call to provide the natural gas they need for heating. One of them is Germany, which realizing that any strike on Syria would further jeopardize its relationship with the Kremlin, said that it will not join any military strikes against Syria in response to the alleged chemical gas attack on an opposition enclave which Russia claims was a "white helmet" false flag, but all too diplomatically supports Western efforts to show the use of chemical weapons is unacceptable, Chancellor Angela Merkel said. "Germany will not take part in possible - there have not been any decisions yet, I want to stress that - military action," Merkel said according to Reuters after meeting Danish Prime Minister Lars Lokke Rasmussen in Berlin. "But we support everything that is being done to show that the use of chemical weapons is not acceptable," she added. Of course, Merkel could have simply said "we are happy to do anything except whatever puts us on Putin's black list: the rest of you can do that." Meanwhile in Dublin, Germany's new Foreign Minister Heiko Maas said Germany expects to be consulted before any Western allies conduct an attack on Syrian President Bashar al-Assad's forces as the allies must be united on the matter. Earlier, Merkel spoke with French President Emmanuel Macron about the suspected gas attack and expressed her concern that the international community's ability to ban chemical weapons was eroding, her spokesman said. Norbert Roettgen, chairman of the German parliamentary foreign affairs committee and an ally of Merkel's, said: "Shamefully, there is still no policy from the EU - or even individual EU states - for the Middle (East) countries. "If it came to military strikes with the participation of France and Britain, that is still not a policy." Roettgen urged the European Union to develop a policy for the Middle East as a whole, adding: "Germany should work together with others for a Middle East peace conference. We have various diplomatic options to not let the topic rest." He called for a "step-by-step approach", which could start with humanitarian access in Syria. "The situation is so burdened with multiple conflicts that one can only proceed gradually." Asked about such a conference, Merkel told reporters: "We know a lot of things are linked in the Middle East, no question, but now we must urgently deal with a situation where there is a lot of evidence that the Syrian regime again used chemical weapons." 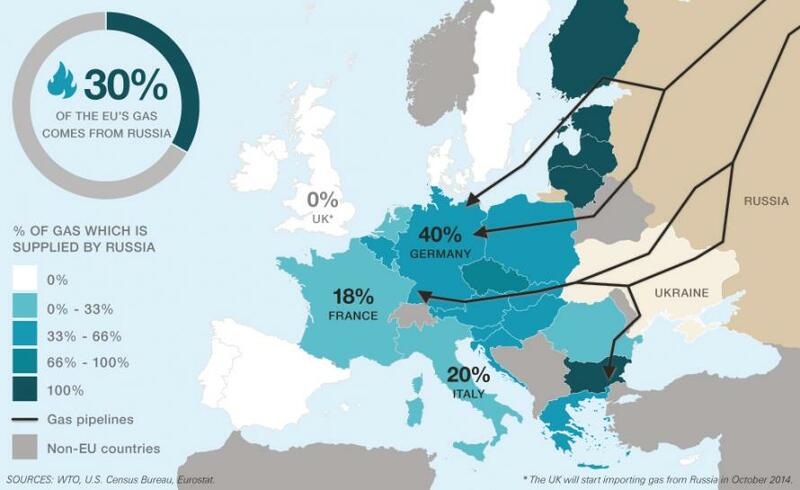 Another option floated by Germany would be to use what oil-importing leverage Europe has over Iran to pressure Syria. Roettgen said Europe could talk to Iran in connection with its 2015 nuclear deal with world powers, which Trump has criticised as "the worst deal ever negotiated". Iran needed to understand that its economic prospects would be constrained if it "pursues a permanent bellicose expansion of power," he said, adding Turkey should be told "there cannot be a warrant for warfare in Syria." In other words, Europe would stop importing Iranian oil (for Euros) if Tehran refused to betray its Syrian friends. "But there is no country - neither the U.S. nor a European country - that is taking the initiative. That's the shameful thing about Western politics," Roettgen said. Which means that the two nations that will lead the attack on Syria when it inevitable comes - whether with or without the US - will be the UK, whose subs are already on location off the coast of Syria, and most likely France.